My entry for the 8th Ludum Dare 48 hour coding compo held in April 2006. 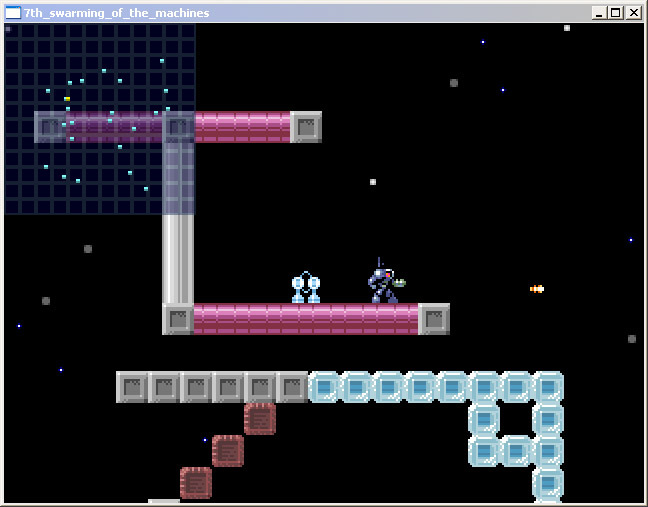 At first I was bummed that the theme ended up being "swarms" (we voted for it during the week leading up to the contest), but after a few hours I got an interesting idea to make the actual level constitute the "swarm" element and having the player move around between colliding debris, shooting stuff and modifying the level geometry. Originally I had planned to let sections break apart if you shot out critical tiles holding them together, but I didn't have time to implement that.